If you follow me on Instagram (and if you don't here's a cheeky lil' self promotion right here) you'll know I'm big on home decor. I love my house plants and pretty prints as much as any other blogger/Instagrammer/person who has a house. Home decor is huge at the moment (/probably always has been and I've only really started paying attention now I have a house), but something seems to have got lost among the cute quote prints, cosy throws and house plants in wicker baskets and that's the good old photograph. 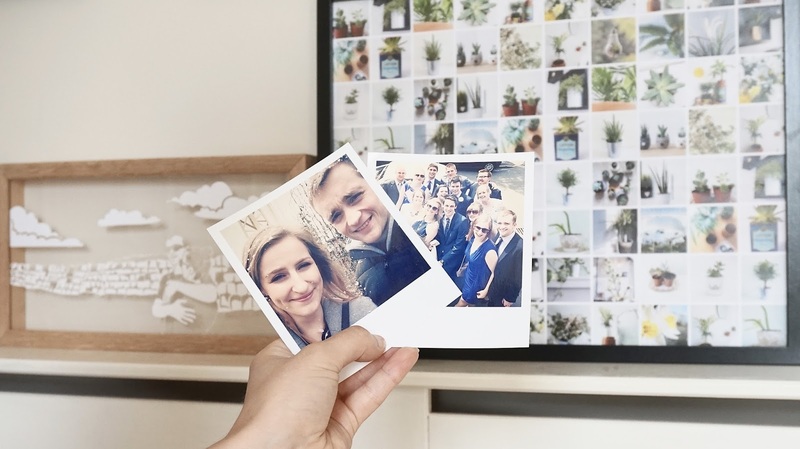 It's almost like photographs have gone out of fashion, but I love a good snap so thought I'd do a little post on some ways I've been incorporating photographs with a lil' bit of a different twist into my home decor. The papercut | I was recently contacted by the lovely Lana at Twenty Fingers who kindly sent me this papercut*. I'd never seen this type of art before and I think it's such a lovely way to display an iconic photograph - this one in particular was taken when we were walking Hadrian's Wall and had just got to the top of a huge hill. 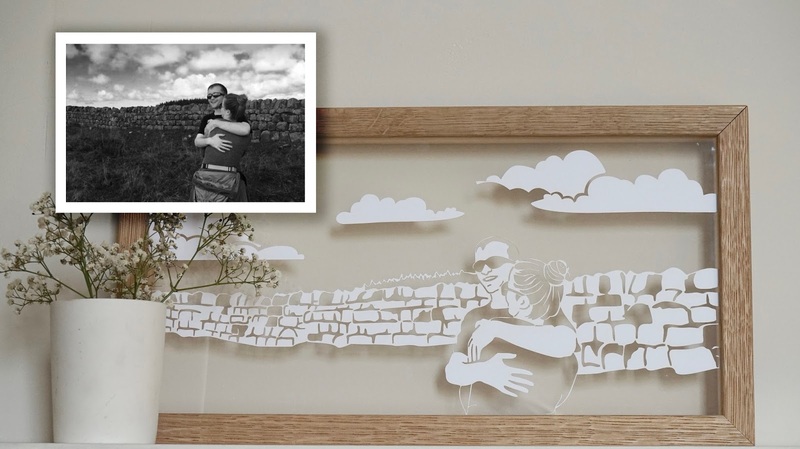 They look incredible, it blows my mind how they manage to recreate a photograph in such detail with paper - which you can see for yourselves when looking at the original compared to the papercut above - and I think it'd be a lovely idea for a present or as a way to display a special photograph. I haven't decided where to permanently hang this yet - I love the fact that you can see the wall through the glass and I want to hang it somewhere where there'll be light and shadows that'll create all sorts of pretty patterns on the wall because #ihavethisthingwithshadows. There is the option to include text as part of your papercut, but being the simple soul that I am, I decided to let the picture do the talking. If you have a quote that you love or you want to add names or dates to a special picture that's a great option to have though. 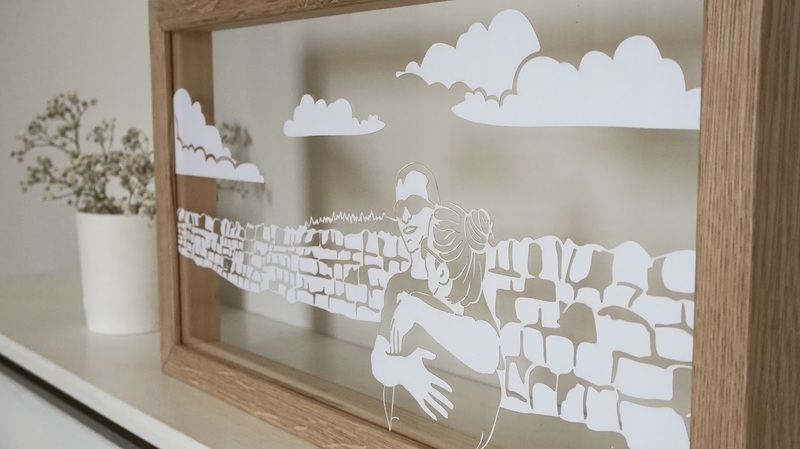 Twenty Fingers also do family trees and timeline papercuts, which are a lovely idea for couples and families (plus if you pop your anniversary on there it'd mean you'd never have an excuse to forget it!). Personalisation is all the rage at the moment and there are so many options you can choose between to make your papercut your own. 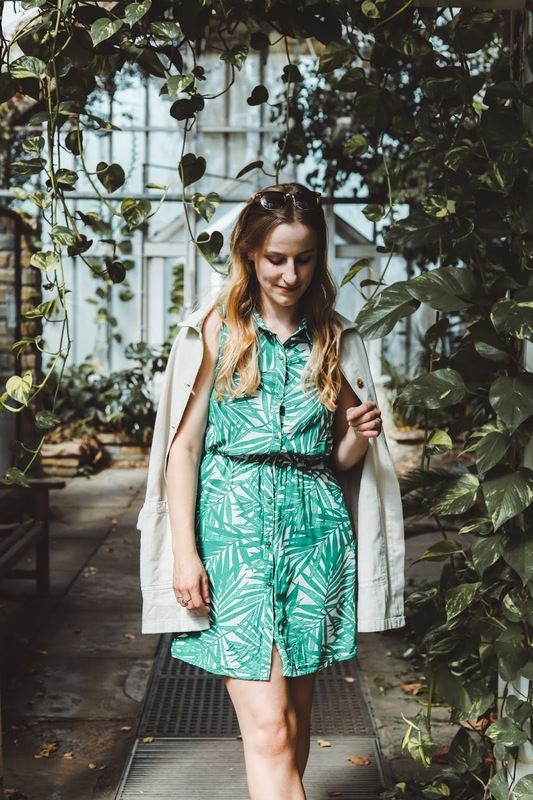 They are a little pricey, which is why I'd only recommend it for something special like a present or a meaningful photograph - it'd make a lovely present for a first wedding anniversary or something similar. The poster | So, I realise that these aren't exactly photographs of family and friends, but some people have photographs of their pets and some people (or maybe just me) have photographs of their house plants. 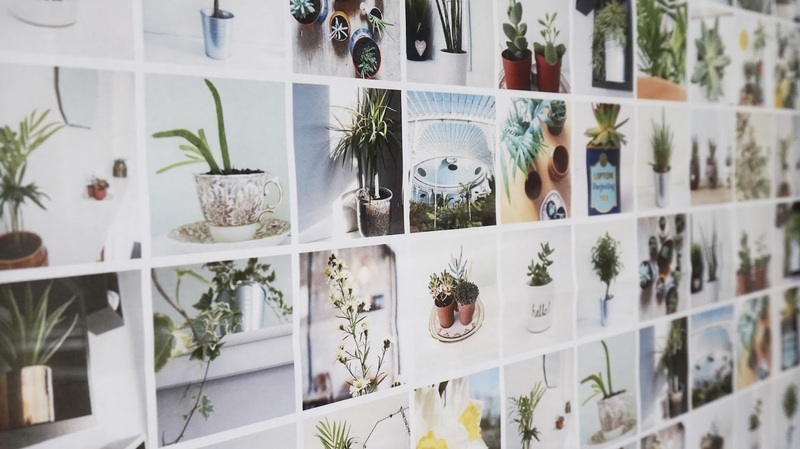 Not only am I obsessed with house plants, it would appear that I'm now obsessed with photographs and prints of them. My mum bought me a voucher for personalised wrapping paper from Wrap Me a while ago and this is what I eventually settled on - and when wrapping paper is this pretty obviously you're going to frame a sheet rather than use it as wrapping paper right? And yes, most of these photographs are genuinely pictures I've taken of my own house plants #whataloser. I'm saving the rest of the wrapping paper to use for special presents only, but this was such a cheap way (especially as my mum paid, but you get what I mean!) to create a personalised poster and you could put photos of your family and friends in it if you're less of a loser than me. 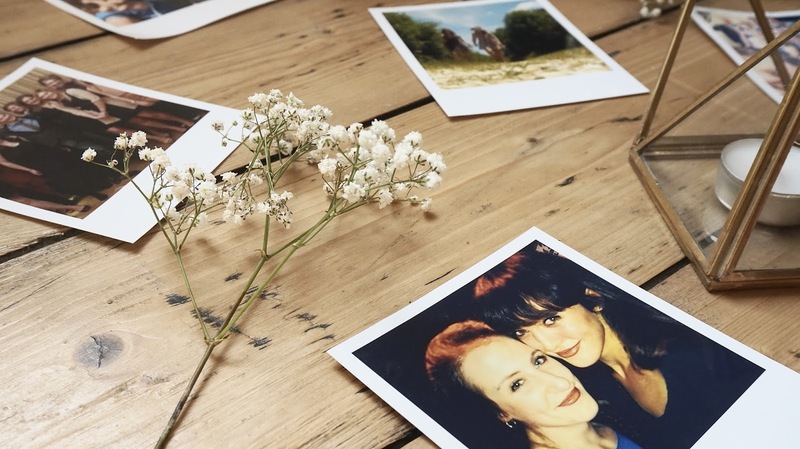 The polaroids | This is one trend that's definitely everywhere and has been for a while - polaroid prints. Mine are from Lalalab and they're so handy to have because you can chop and change where and how you want to display all the time. I used to have mine displayed on string with pegs, but at the moment they tend to be floating around propped up here there and everywhere. Also, if you're a blogger, they make great blog photo props. 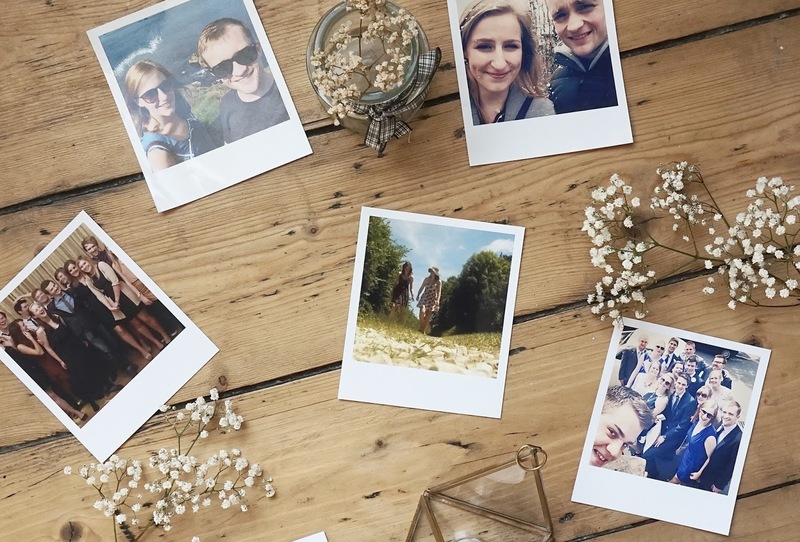 It's just a super easy and cheap way to print off photographs that you've snapped on your phone or you've got on Instagram/Facebook because you have the option to print them from anywhere you want. Also if you fancy a cheeky £5 off your first order, you can use my code PGMW8LP9 (and yes that's a sneaky way for me to get some credits on my account too). 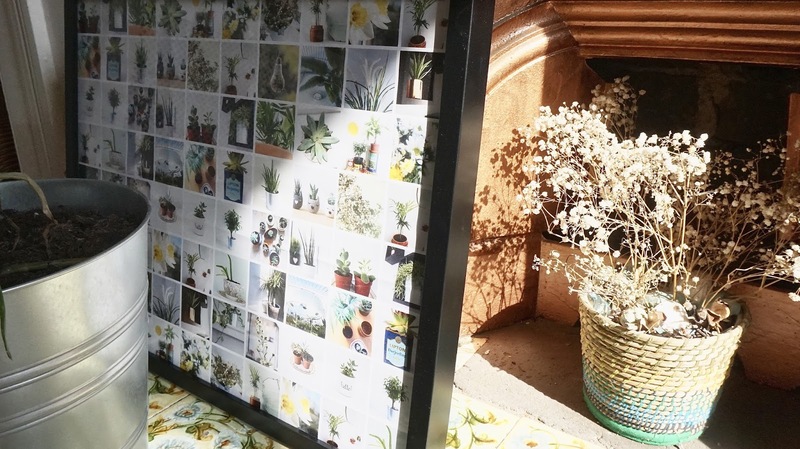 How do you display your photographs? *Some of the items in this post were kindly sent to me for review, but all opinions are my own. Such a great looking home decor! I love these photos on frames, and that glass frame! That papercut is amazing, its so simple but at the same time looks exactly like the photo! I've never seen anything like that before, very cool. I have a serious lack of photos or indeed nice home decor as I moved in with my boyfriend and his flatmate so it's a BOY'S house, blergh. But we're moving in a couple of months and I can't wait to incorporate house plants and of course polaroids. Your interiors photos are always so calming and pretty, you're going to be my interiors inspo! What awesome and different ideas! The papercut is so cool and you're totally right about it being a great present to give, thanks for the inspo!! What a great idea to have framed the photograph-printed wrapping paper - the outcome is so professional, you've done a fabulous job babe! Wow, that papercut is absolutely gorgeous! I love simple but beautiful pieces like that, they're always a conversation piece in your home! Love what you did with the wrapping paper too, I agree that the paper is too pretty to want to use it for presents! Fab post!